Thanksgiving is unusually late this year and while I'm usually a staunch opponent of decorating for Christmas before Thanksgiving, the late start to the Christmas season this year has actually had me itching for Christmas. Guys, this is huge. I'm a giant grinch so for me to be getting excited for Christmas is a BFD. This weekend, The Pilot and I are going to decorate for Christmas. We were planning on going out and buying a tree and then making the trip to target to spend a fortune on Christmas decorations until we came home one day to find that his parents had quite literally bought us Christmas. They sent us a tree, lights, ornaments, an angel, a tree skirt...everything. It was amazing. It was so unbelievably thoughtful of them to realize that we don't have any of this stuff and that it's expensive and to send it our way. So I'm excited to put up the tree, drink hot chocolate, and watch Elf and Love Actually (my two favorite Christmas movies). 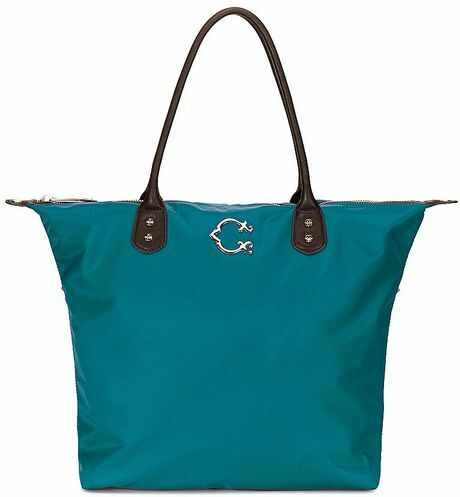 This bag from C Wonder. It's my favorite color and it has my initial on it! I have a Longchamp bag but it has short straps and no zipper. This chic bag is perfect for work or every day. A bright colorful blazer for work. I love the idea of taking a regular staple-wear item and making it bright and bold. 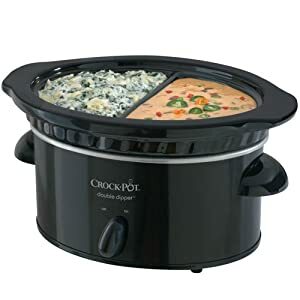 A double dipper crock pot. I am a vegetarian. The Pilot is not. Dinner in our house can get tricky. My sister has been trying to convince me to buy a slow cooker for months, but I never saw the point given the differences in our diets. Then, I found out about this guy. When The Pilot and I went out and bought our wedding bands, I spotted this sport watch in the jewelry case and fell in love. (My dad would be so proud.) I was surprised at how much I love it because I actually hate rose gold, but I think it looks really nice on the white rubber strap. I only have one watch that my dad bought me for my college graduation and I love it, but it's really dressy and I would love a sport watch to wear when I'm not quite so dressed up (one that doesn't clock my pace per mile). A simple pair of nice, flats for work. I always buy super cheap flats and they fall apart within months. Since flats are the go-to shoe of just about everyone who uses public transportation, a new pair of flats that will last me longer than one season would be great. I love the idea of bright, bold flats too though. I'm really into bright colors this year. So that's that. There isn't anything I really need this year. There are a lot of kitchen appliances and things that I want, but I'll save those things for my bridal registry! Right now, I finally have a job that I love and am excited to dress up for, so I just want fun work clothes! So what's on your Christmas (Holiday) list this year? I didn't know about the double dipper crock pot!! You should definitely get it! Crock pots are amazing!! Aww, how sweet of his parents! Sound like good in-laws. :) And that crock pot is genius. We need that. I'm hoping for a winter running jacket for Christmas. It's too freaking cold here! That double dipper crock pot is a great idea. Have you seen White Christmas? Old old but a GREAT movie. I love Christmas movies. I love your list!! Blazers are my new favorite thing. Kohl's has good ones (the Lauren Conrad line are my fave), but I know other places have more colorful ones. I guess the only things on my list have to do with things I need for my office, like a mouse pad and a desk calendar, lol. I don't need a whole lot this year, but I'm just happy that it's ending on a positive note after such a crappy summer/fall!! There are Five Things Very Right with My Life.